Blazblue, Under Night In-Birth, Persona 4 Arena and RWBY. It sounds like incomprehensible word salad, but to fighting game aficionados, it’s a dream come true to have a studio as prodigious as Arc System Works mash all four of those together in a single game. Well, maybe not RWBY, but I’m just sassy like that. Either way, Blazblue Cross Tag Battle, the improbable four-way crossover fighting game now has a PC release date and is confirmed to be landing on Steamy shores on June 5th, although the release might not be quite as complete as initially hoped. Arc System Works already have an entry on our list of the most exciting games of 2018 with Dragonball FighterZ. Who’d have thought that fighting games would ever be a competitive field on PC? In a bizarre decision, Arc System Works have announced that while Blazblue Cross Tag Battle is launching with a respectable enough 20 playable characters, the final character tally will be a far beefier 40. Unfortunately, you’re going to have to pay up to get access to the second half of the game. The remaining half of the characters will be gradually released over time, and can be bought in packs of three or as a season pass of all 20, with prices yet to be announced. It’s an especially odd-seeming decision on the part of the developer/publisher, seeing how negative reactions to similar base content/DLC divides have been over the past few years. Also how generously portioned some other fighting games, such as King Of Fighters XIV and its 54-character roster, with only four more coming as DLC. 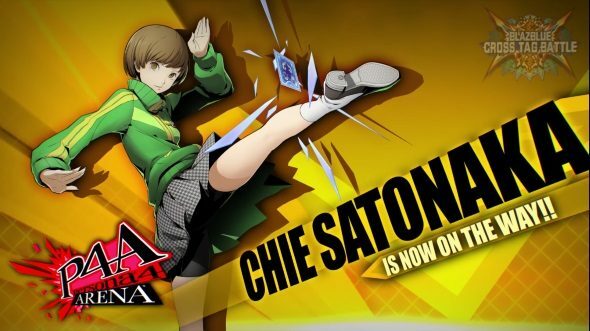 On a more immediately positive note, the announcement of the release date came with one additional character reveal. From Rooster Teeth’s CGI pseudo-anime series RWBY comes Blake Belladonna, ninja antagonist from the show, and will probably be offsetting the four main cast members. Taking the edge off this is the revelation that she will be one of the first DLC characters. Still, unusual release plans aside, if all goes to plan a modern 2D sprite-based fighting game with 40 playable characters isn’t to be sniffed at, particularly in an era when everyone else seems to be moving to cel-shaded 3D models. It’ll be interesting to see how Blazblue Cross Tag Battle pans out, and whether its initial release can weather the initial storm of negative PR that the partial release may generate.